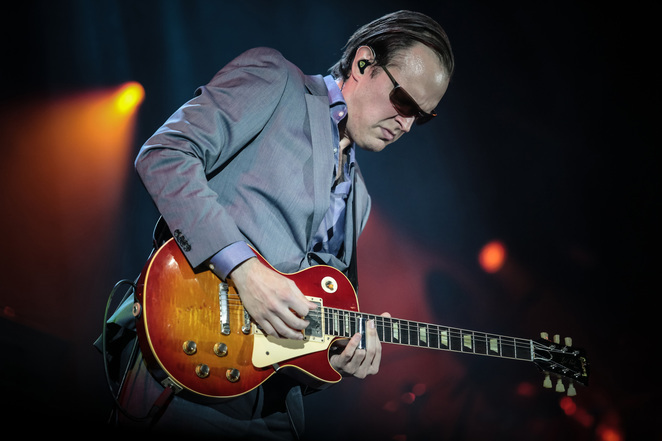 Guitar guru Joe Bonamassa will be spreading his rock & blues religion with a UK tour that kicks off at Cardiff Motorpoint Arena on September 18 and visits Bournemouth, Manchester, Aberdeen, Edinburgh and Birmingham before ending at Brighton Centre on September 28. It has been a busy year for the 36-year-old New Yorker. 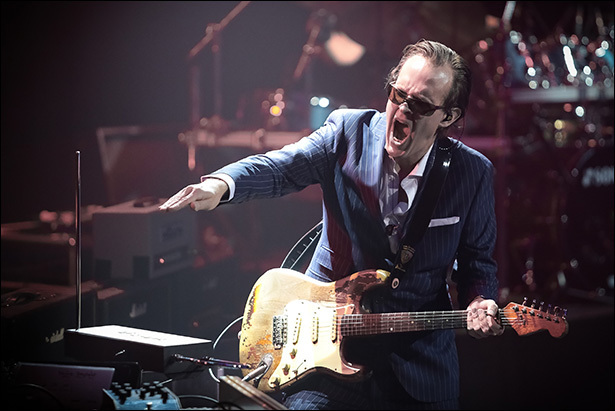 He released a live album and DVD, An Acoustic Evening At The Vienna Opera House, as well as his second album, Seesaw, with singer-songwriter Beth Hart. In March he undertook a series of four London concerts in four different venues featuring a different set-list with a different band each night. The shows began at the 200-capacity Borderline where Joe's early material was showcased. The second night was at Shepherd's Bush Empire and concentrated on Joe's blues material. It was rock night for the third show at Hammersmith Apollo with a spectacular finale of acoustic and electric music at the Royal Albert Hall on the fourth and final night. 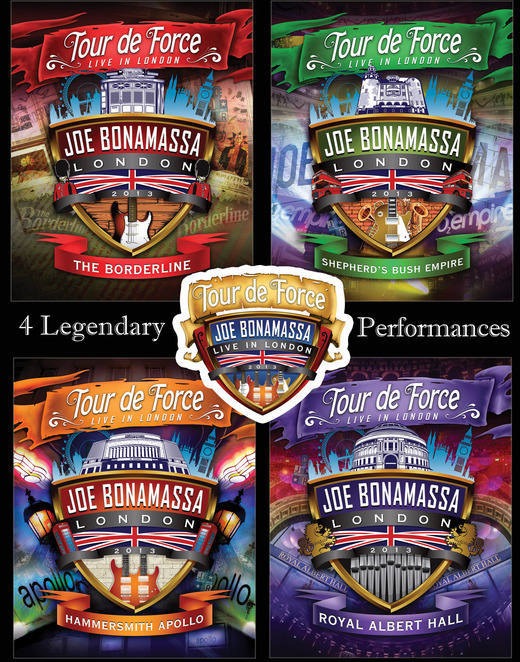 For those who were unable to get tickets the whole event can be experienced thanks to the release of four DVDs chronicling the concerts. Tour de Force – Live in London is released on October 28. Joe says: ''Over the years I've received audience requests for tracks that we've never performed live; it felt right that we delve into the back catalogue and honour London with special and unique versions of these tracks. And now, with the DVD and Blu-ray release, we can share it with my fans around the world." 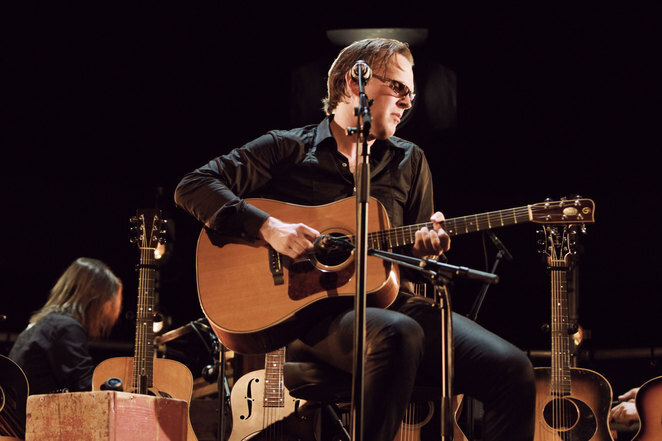 The forthcoming tour will see Joe performing a mix of acoustic and electric songs from his classic albums including Sloe Gin, Dust Bowl, Black Rock, The Ballad of John Henry and Driving Towards The Daylight. His band will include keyboardist Derek Sherinian with whom he worked in Black Country Communion alongside singer and bassist Glenn Hughes and drummer Jason Bonham. 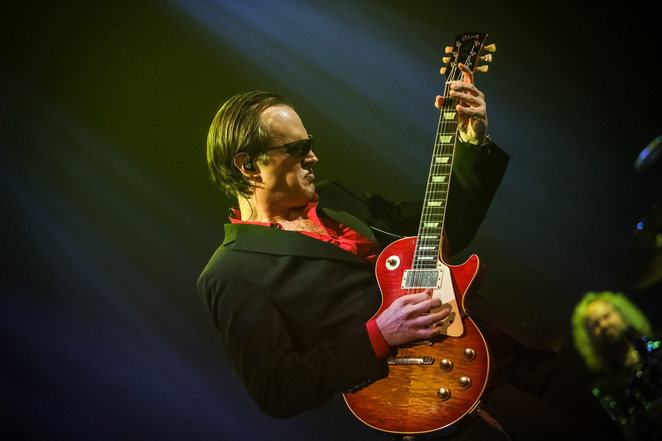 Bonamassa's career began onstage opening for B.B. King in 1989, when he was only 12 years old. He has since released more than 15 solo albums and plays around 200 shows each year.